It all started one day when my wife and I were watching a billiard tournament on television. The next morning, I ventured out to find the perfect pool table that would become our newest toy in pursuit of sportsmanship. I have to confess that my total reference point was what I had seen on television – a table with four legs covered in green cloth and decorated with pockets on the side and corners. If you are thinking about getting a pool table of your own, let me tell you that is not enough! How was I to know that billiard tables come in a whole bunch of different sizes? The TV moderators at the tournament never said a word about that! Since our household decided years ago to try to buy only “Made in the USA” products, I told the clerk at the local billiard table store that I wanted an American Made pool table for our family room. Is the table for pool, billiards or snooker? What kind of wood do you want? hand-stained or laminate finish? Brazilian, Italian or Chinese slate? What thickness of slate do you want – ¾”, 7/8” or 1 inch? Leather, rubber or plastic pockets? After hours and hours of intense rummaging through dictionaries, geological textbooks and researching various terms for wood products, I can fill you in on several important things I learned. Know that there is a difference in Pool, Billiards and Snooker and each has a table size standard to that particular game – and the tables are not interchangeable. Space is the amount that you have available in the room plus additional space for the cue. For example, if you choose a 4’ x 8’ table (which is considered to be an 8.5’ table) and you use a 48” cue, you will need a space free of everything else of at least 12’ x 16’ but if one member of your family decides to use a 58” cue, then you will need a space of 14’ x 18’. When it comes to slate, buy “matched and registered” Italian slate with a thickness for home use of no less than 7/8”. Leather pockets – preferably Italian leather – in natural colors (no dyed leathers because dying causes the leather to wear faster) are easy to care for and don’t wear out in a couple of years. Be prepared to pay for quality and avoid the “sales” that are advertised online. Once vacuumed in this manner, wipe the cloth with a slightly damp clean cotton cloth not toweling. Then, use a soft bristled brush to brush the table top. Overall, what I unearthed is that the words, “American Made, Made in the USA or Made in America” can be misleading in the world of pool tables. Some very well-known brands state that they can claim their product is made in America because their main corporate office is here. 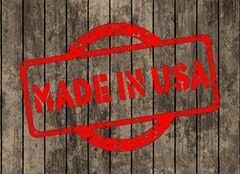 Others claim that they can say that because the table is assembled in your home – “made” in the USA! The only way to be certain that you have an American Made Pool Table is to have one custom built at a factory that you can go visit.